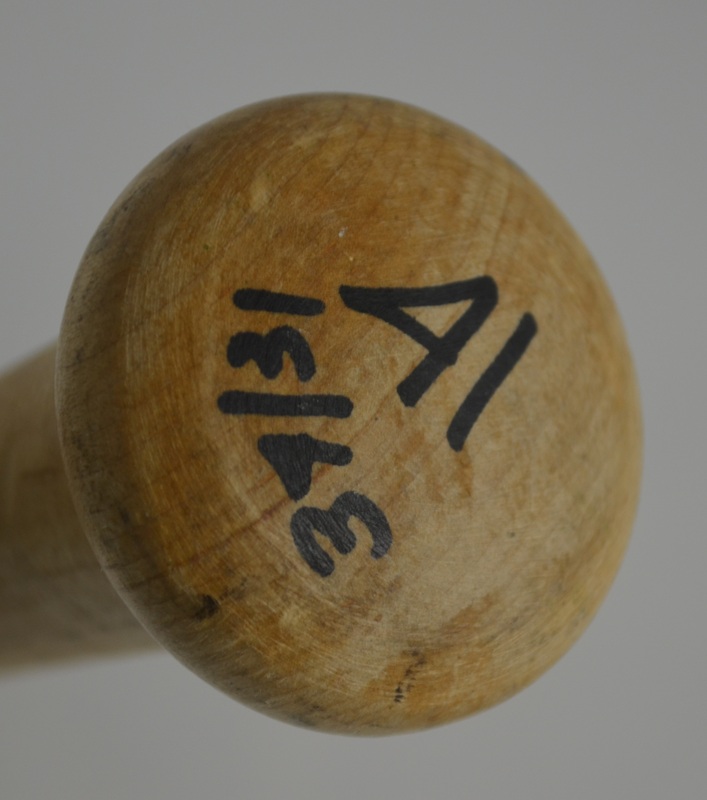 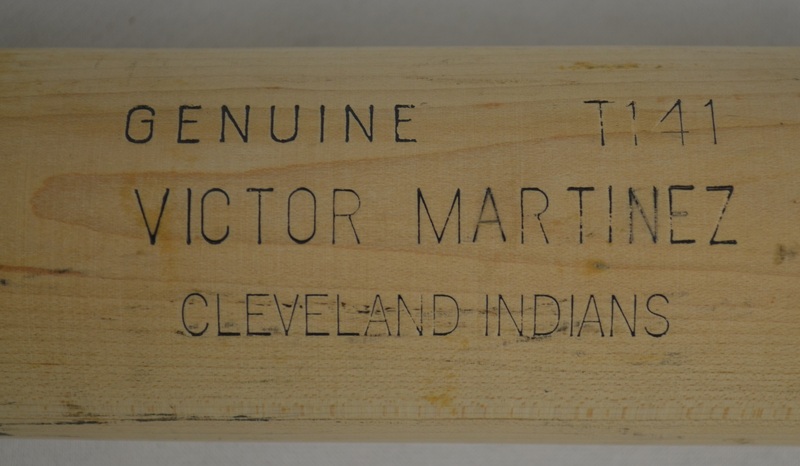 Blonde Victor Martinez 2006 Cleveland Indians Louisville Slugger M9 professional model T141 bat exhibiting excellent overall use with ball marks, ball stitch impressions, pine tar and #41 written on the knob and barrel end in black marker. 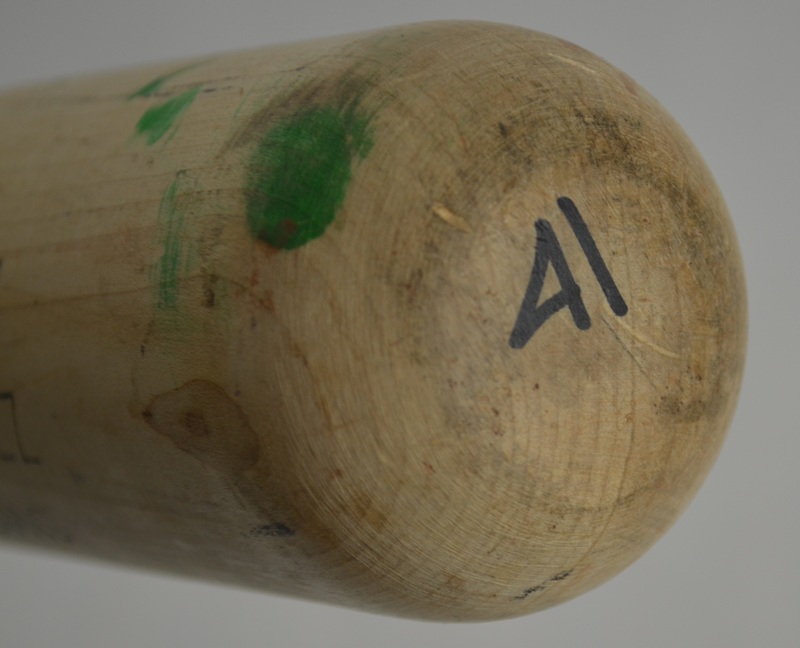 The bat measures 34 inches and weighs 31 ounces. Martinez has been one of the more consistent hitters in baseball since he entered the league and has been named to 5 AL All Star teams, winning 2 Silver Slugger Awards.